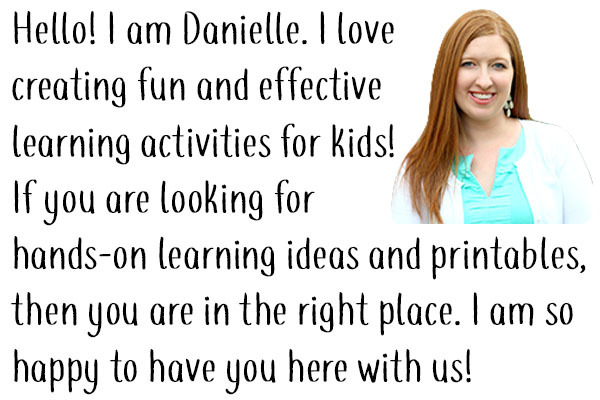 This letter sounds game is an excellent way to get kids excited about learning. 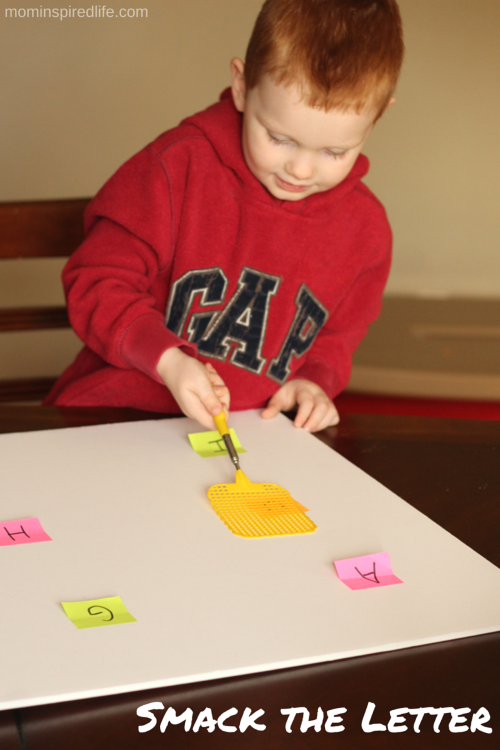 Practice letter identification and phonics while smacking letters! 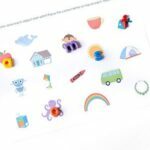 We really love this Smack the Number Game and so do our readers, so I came up with a version that would help kids learn letter sounds too. 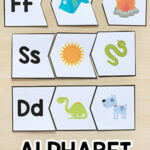 This one was a lot of fun too, but also very effective for teaching letter sounds as well. 1. Write one letter on each post it note. I decided to work on 9 letters. Choose whichever letters you would like to work on. Spread the post it notes all over the work surface. 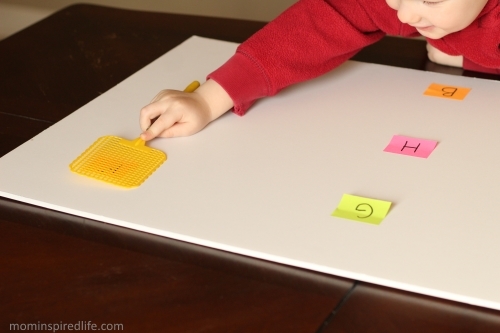 Then call out a letter sound and have your child identify the letter that makes that sound. 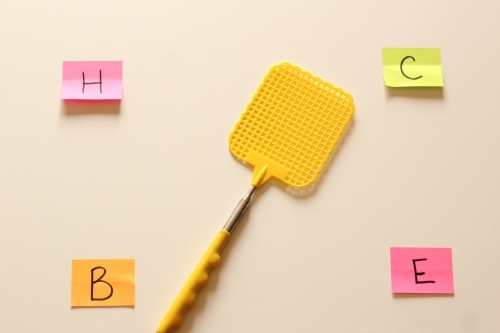 Once they identify what the letter is, they should smack it with the fly swatter. 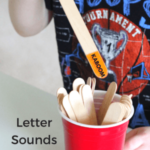 For example, I said “fffff” and Evan would try to quickly determine which letter makes that sound and as soon as he identified it, he smacked the letter with the swatter. 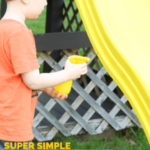 This process repeats itself until you or your child would like to stop. That’s it. Easy peasy! 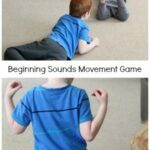 But very effective at really helping your child listen to sounds and make the connection between the letter and the sound it makes. 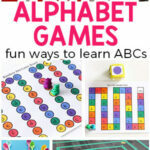 Here are some more alphabet games you may like!